Prairie dogs graze just like cattle or sheep, this creates competition for grass between livestock and prairie dogs. In semi-arid climates, like Colorado, it's tough enough to find the water to keep a pasture producing to support your cattle herd. Add in a few thousand extra mouths to feed and a ranch can be quickly depleted and put into ruin. In one year 256 Prairie dogs can eat the equivalent to one cow. Typically Hired Gun Weed and Pest Control’s treatments are reasonably successful, but the thing about prairie dogs is they will come back if given the chance. For this reason, larger colonies will require treatments over multiple years. Hired Gun Weed & Pest Control’s preferred method is baiting because it is economical, fast and it is extremely effective when it is applied correctly. One person can treat up to 1500 burrows a day. We use a marker system to keep track of the burrows that have been treated. Hired Gun Weed & Pest Control will help you get a Prairie Dog Management plan in place. We apply two treatments in the season of October 1st through March 15th. The average lifespan of a Prairie Dog, when not controlled, is 5 years for males and 7 years for females. The mating season is in March and typically litter sizes range from 1 to 8 pups with the average being 3-4. 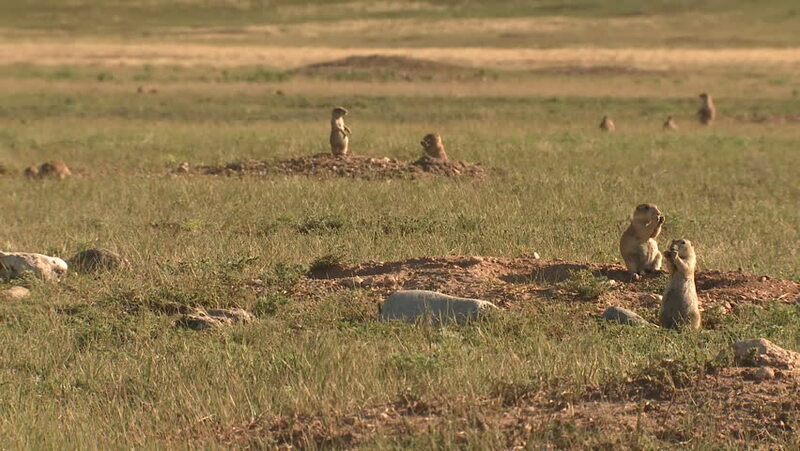 Having a Prairie Dog Management Plan in place and treating twice per season, will control the population more effectively and result in less pups being born in April and May. Thus, leading to depopulation of the colonies on your property from year to year.